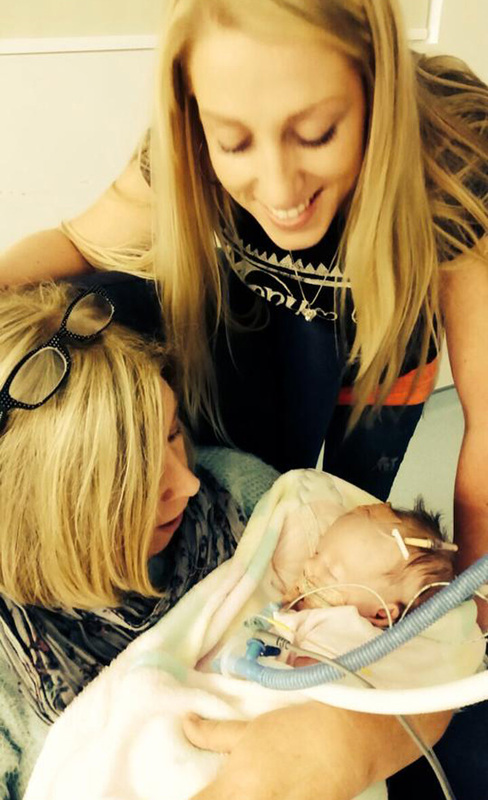 "I'll never forget the first time I got to hold her and take her in. 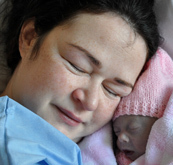 She was so small, and so beautiful and my heart just burst with love for her, she was our family and we were complete." 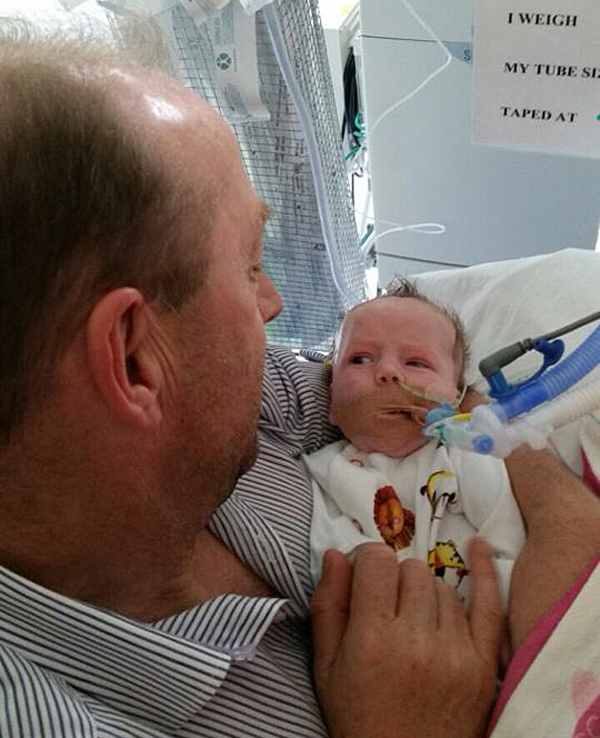 On the 8th of August 2014, at 10:47am, Isabella Elizabeth entered the world, silent. She was alive, still fighting, but silent. 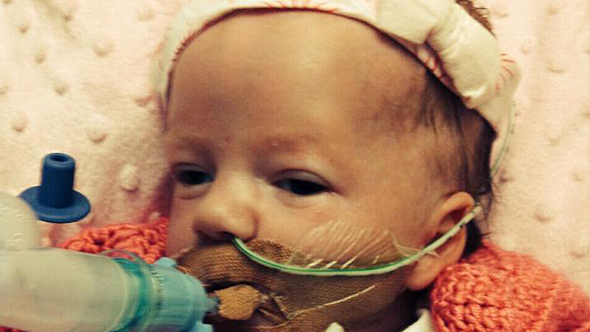 After what seemed like an eternity, Isabella was put on a ventilator and taken away. In a haze, I was told that she was stable and weighed 5lb 5oz. She hadn't tried to breathe spontaneously as she should have done. 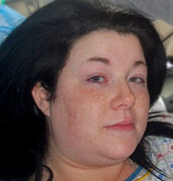 Doctors also told me the she had certain characteristics that would indicate that Isabella had an underlying condition. I saw only beauty, perfection. Looking back at her scan photos, some of these little characteristics that the doctors mentioned, could be seen clearly. Isabella held her little hand in a fist, her fingers overlapping slightly. 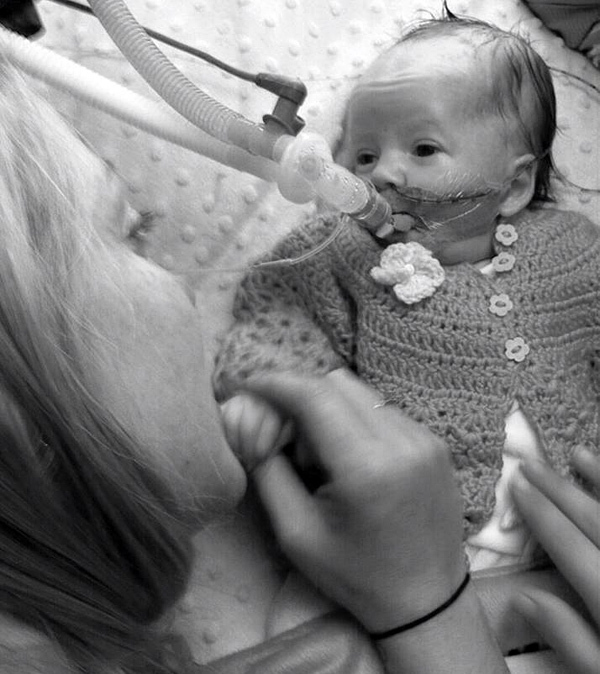 I am so thankful that I never knew that she was unwell before her birth, but I should have. I know for certain it wouldn't have changed anything, I'd still have fought for her, helped her in anyway I could, to write her own story. Our lives have always been full of people who are uniquely wonderful and different, I like different. I'll never forget the first time I got to hold her and take her in. 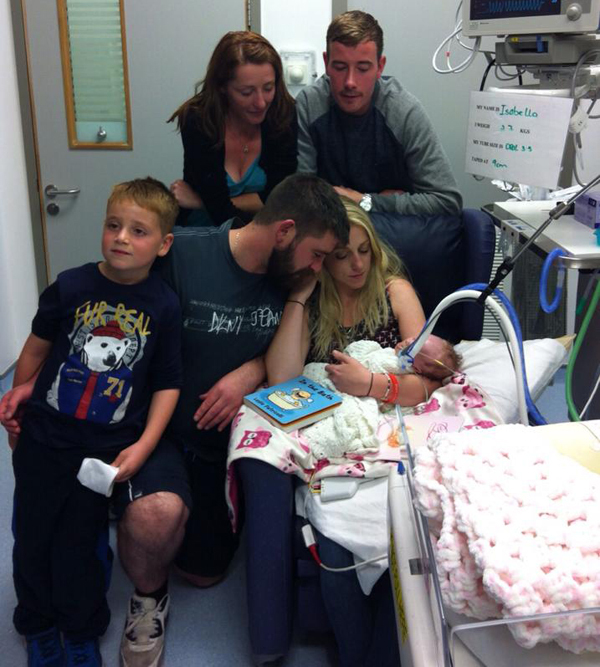 She was so small, and so beautiful and my heart just burst with love for her, she was our family and we were complete. 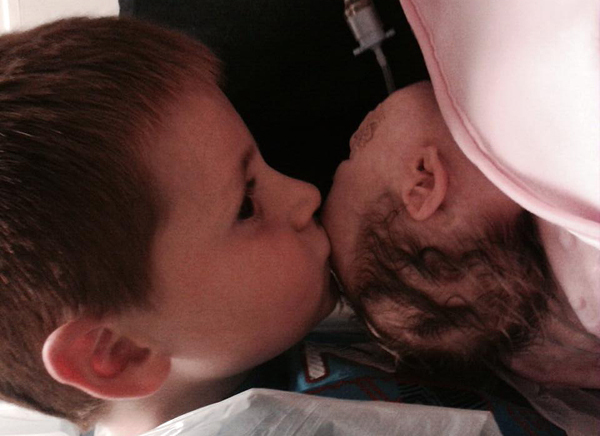 She had made my six-year-old boy a big brother, his wish from Santa last Christmas was for a baby sister. Isabella will forever be, his baby sister. 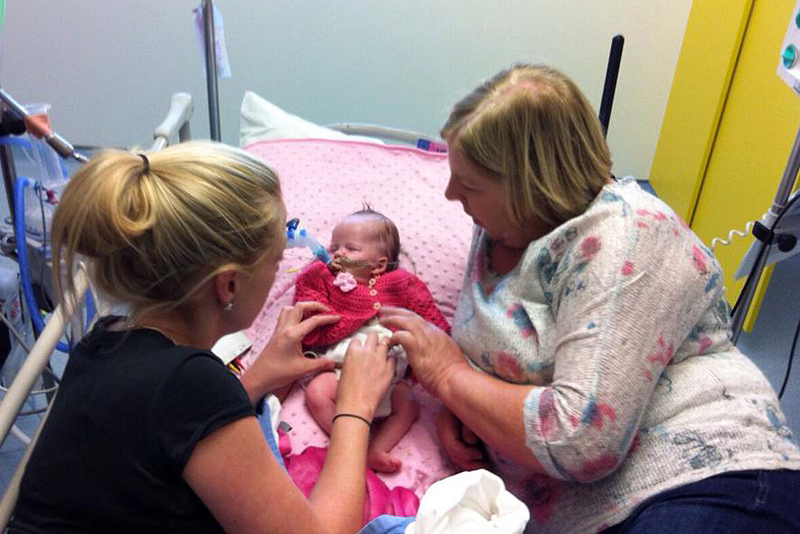 Isabella spent most of her next five weeks in the Coombe Neonatal I.C.U. When I look back on these five weeks, I remember the time with a full feeling in my chest. I remember love, I remember family, I remember friendships that will last a lifetime, I remember hope, I remember unity, I remember God, I remember kindness, I remember warmth, I remember dignity, I remember Isabella. She knew our voices, especially her brothers, he was her big brother long before she met him. Her reaction to him was unbelievable. We don't think about it but our lives and our family connections begin long before we are ever born. "Incompatible with life"! I hated those words, I had never heard them used before I'd had Isabella. Doctors had thrown the phrase in a few times while discussing possible "underlying conditions". I think I kind of blocked it out at the time. 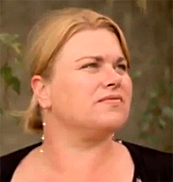 "There is nothing that you can tell me that my daughter has, that is going to make me think of her any differently, so please, investigate in the background, and sort Isabella out enough that I can bring her home and she can meet this massive queue of people just praying she'll be ok". I wanted to show her off so badly, I was so proud of her and I was so anxious that eventually, I could take her home, for however long she might stay with us. 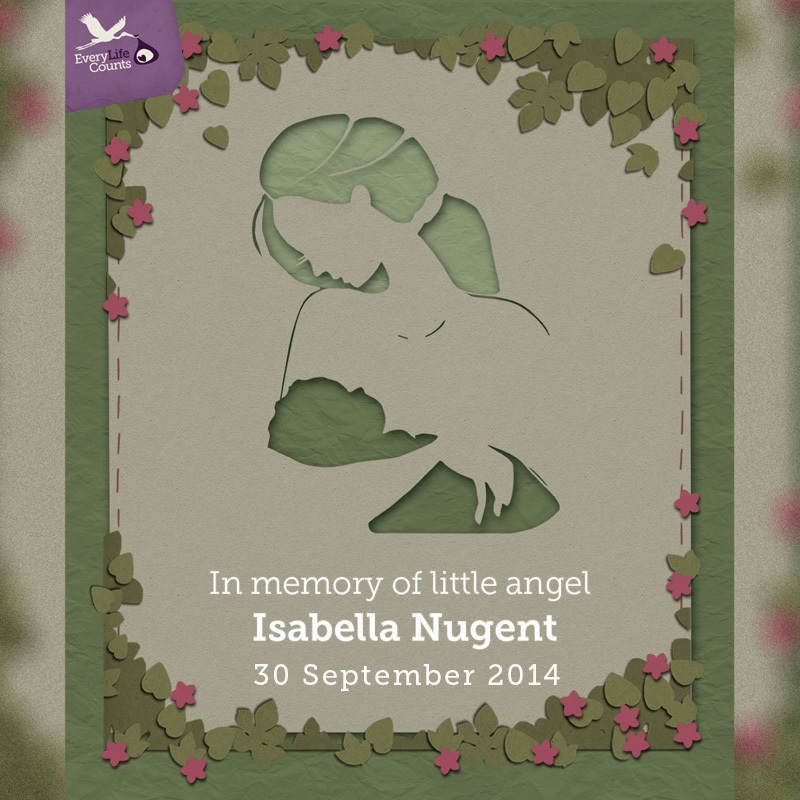 She couldn't come home on a ventilator, so Isabella, at five and a half weeks old, went to Crumlin. 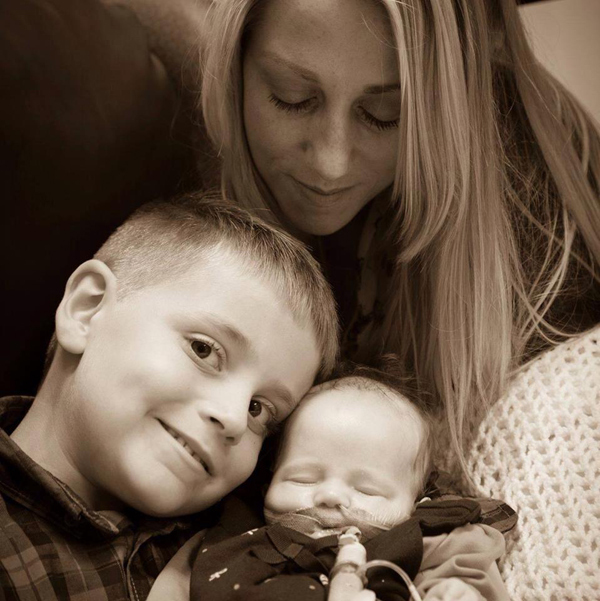 Investigations were done in the background but I think the doctors knew that the reason Isabella needed a ventilator, was that every now and then, she would forget to breath. 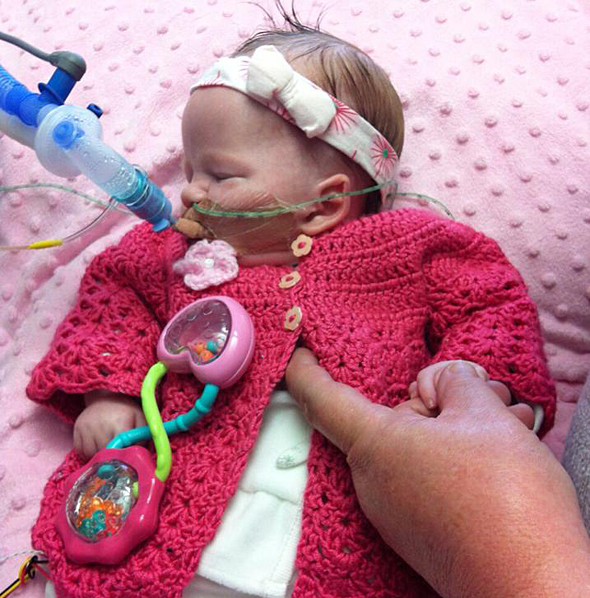 These messages to breath, were not being sent to the muscles in her lungs. These episodes were becoming more and more frequent. Even with all of this going on in the background, we made the most of every second we had with her. From the second she was born we held her as often as we could. When we couldn't, we'd sit with her and hold her little hand, rub her hair, sing her songs, tell her stories and listen to music with her. 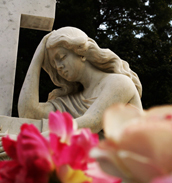 Isabella knew she was loved, and she was, loved beyond belief. She changed everyone's hearts. Our family has seen kindness we didn't know existed. We have all seen such beauty and love in the world, people are amazing. At six and a half weeks, we got our answers. 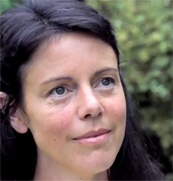 A peroxisomal disorder, a genetic, degenerative condition. This condition was "incompatible with life". Sounds awful, sounds like you have a goldfish and if you take it out of the water, it's not going to survive. Anyway, it's not a term I ever heard a single member of the nursing staff utter. Isabella was allowed the dignity she deserved. From that moment on, Isabella was no longer our hidden treasure, her grandparents, her godparents, her aunts, her uncles, her brother, they could all hold her. "I sang to her, mam sang to her. Her brother got to sleep over with her, hold her, feed her, change her nappy, read her stories. She always knew when he was there. Isabella gave us time and Isabella gave us memories. Our family." Isabella was given her own private room. One whole week, myself and her dad locked ourselves into that room with her. Our little bubble. The nurses gave us a bed and they lay her on it, we could sleep with her. Over the next few days, our relatives came and went. In between, we watched Disney movies with her in our arms, we read her dad's book right to the end. I sang to her, mam sang to her. 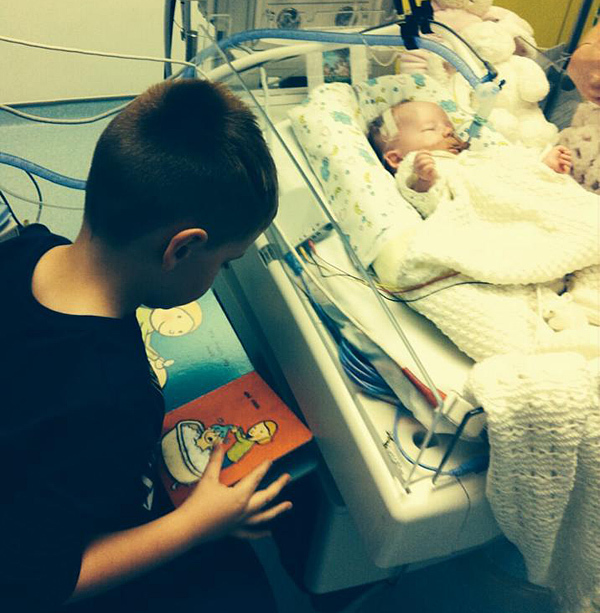 Her brother got to sleep over with her, hold her, feed her, change her nappy, read her stories. She always knew when he was there. Isabella gave us time and Isabella gave us memories. We have thousand of photos of Isabella's 54 days. Our family. We have memories of our invisible one that will last a lifetime, we knew her and she knew us. There will forever be a hole in my heart, the space that is full of love just for her. There will forever be an empty hole in our family, no matter how many more come after her. 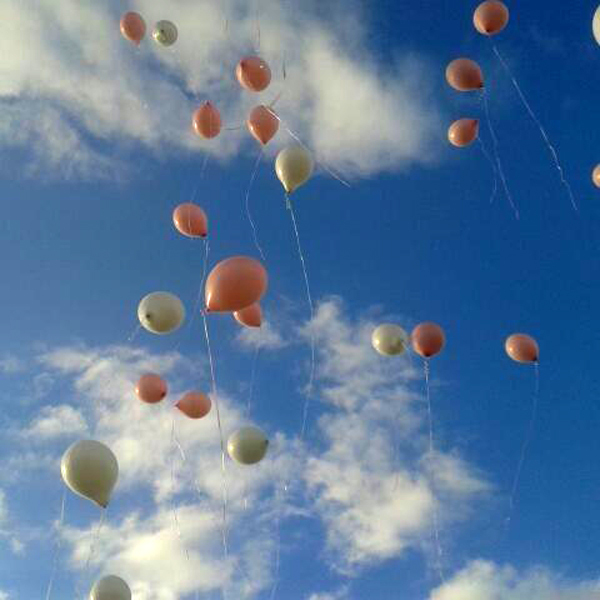 She will always be our daughter, our sister, our granddaughter, our niece, our cousin, our goddaughter. Always. 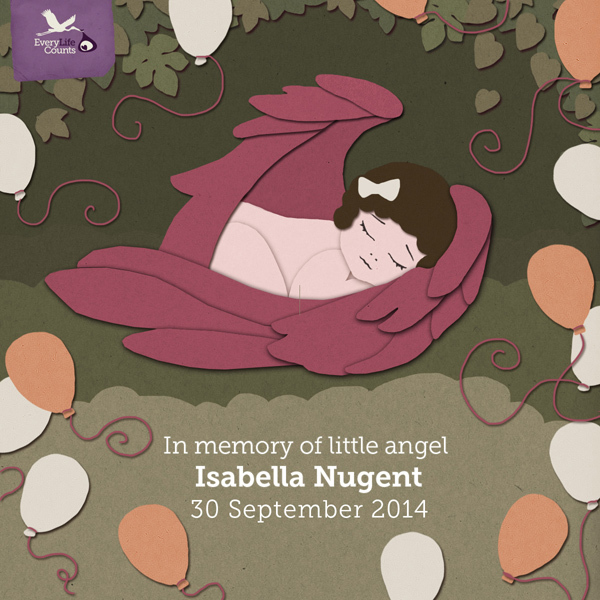 Isabella's little short life, seven and a half weeks, 54 days, was worthwhile, she was loved, she changed us all. That was her lifetime, 54 days to love and be loved, 54 days to be remembered forever. I wouldn't swap the pain for anything, she was worth every second, she was here for a reason and Isabella wrote her own story. 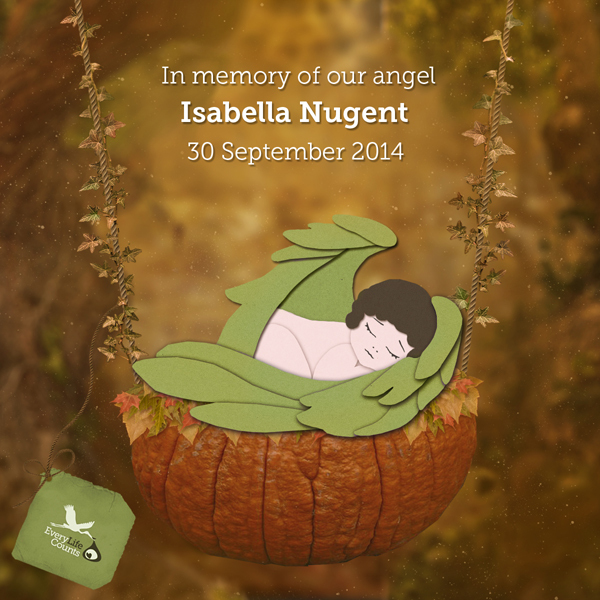 On day 54, Isabella passed away so peacefully. 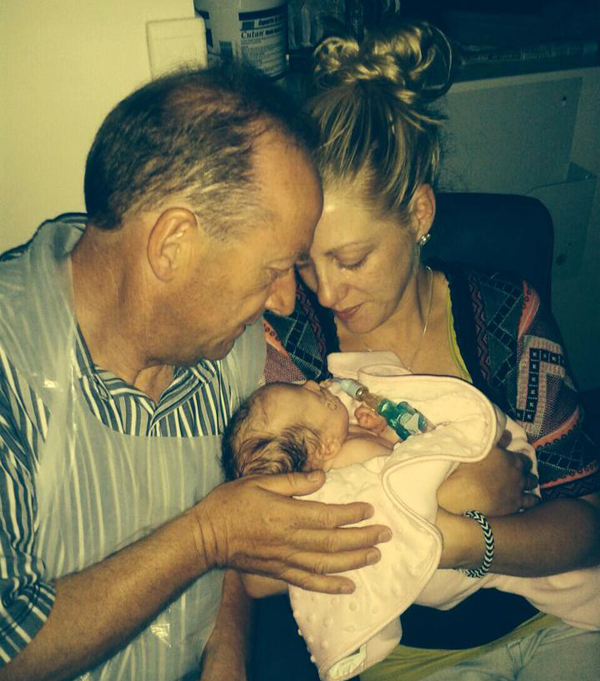 She grew her little wings, safe in her mammies arms, both of us telling her it would be ok, that we loved her and not to be scared, both sets of grandparents waiting sadly downstairs. Hundreds turned out at the church to pray for her. How could anyone seeing this, say that Isabella was incompatible with life? She was the very definition of life. She had filled people with love and compassion, she had made mammies and daddies have that extra little bit of patience with their own child, to hug them for that extra bit longer, to love and appreciate them that little but more. Isabella was here, she mattered and she will forever live on through all who loved her. PEROXISOMAL DISORDERS are characterized by the absence of normal peroxisomes in the cells of the body. Peroxisomes are small cellular particles that carry out important body reactions, mainly involving fat metabolism. When peroxisomes are lacking, these reactions cannot occur or are defective, and some biochemical abnormalities appear, which give us the diagnosis of the disorder.